1940s: Two hippopotami inside water. 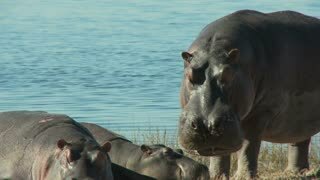 Hippopotamus moves head under water. A bear sits with its body up straight. A chipmunk eats a nut.